Finding Om is a travel memoir that looks into the mind and soul of 22-year old, Bowling Green State University college student, Elizabeth. 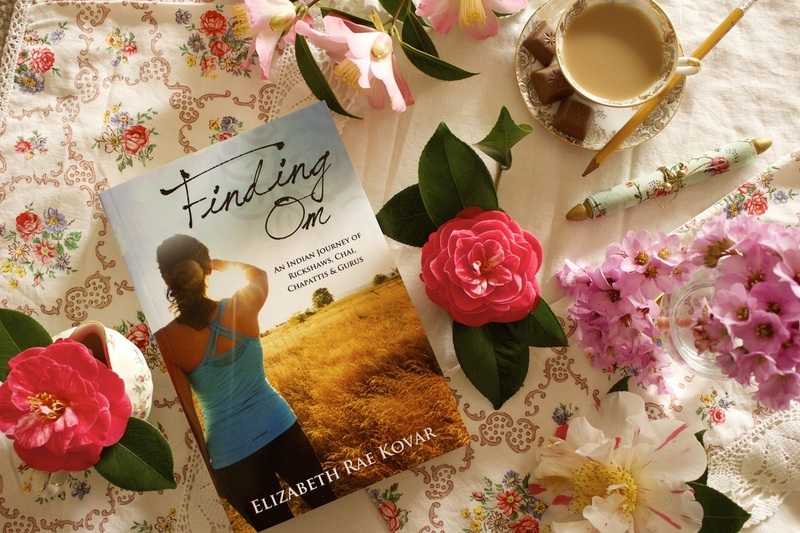 In 2005, Elizabeth studied abroad in Australia, which ignited a fresh perspective on life. Australia, and the ocean, became her first love – a sacred place that rebirthed her soul and introduced her to yoga. Emboldened by the South Pacific, Elizabeth returned to Ohio and fell ill from reverse culture shock. Her collegiate responsibilities, boyfriend issues and negative perspectives about Ohio spiraled out of control. Anxiety, stress, insomnia and panic attacks ruled her life. Stress triggered an unbalanced life, filled with addictions and mental despair, which disconnected Elizabeth from her soul. Elizabeth desired change and the need to re-identify herself with the world. She needed to find a way to travel abroad. Recipient of BGSU’s inaugural, Stuart R. Givens Fellowship, a grant to fund a student to “do anything in the world,” Elizabeth proposed to backpack and to study yoga in the world’s most hectic country, India, solo. In the summer 2007, Elizabeth left the US with three thousand dollars, one red backpack and a bagful of questions in search of enlightenment, acceptance and inner peace. Finding Om is a spiritual, and chaotic, journey through the highs and lows of India. Vivid and suspenseful, these are the tales of palm reader prophecies, the romances with a soul mate, the troubles of tour guide scams, the teachings from yoga gurus and the illuminating conversations had over a cup of chai. This is an intimate and true story of an intrepid young female on a quest to find compassion, adventure and a home in the world. E-books are available on all major retailers and devices. Click here for a copy of the Finding Om Media Kit. The book is written in a very friendly, sincere and entertaining style. I was tempted to keep on reading Elizabeth’s adventures - not for the faint of heart! This is a story about, well, life itself in its pure form. Elizabeth makes visible some common and appalling problems of the Western and Eastern cultures, possibly a wake-up call for some. There is adventure and also hints of romance. I think many of us can feel identified or inspired by Elizabeth’s comings and goings, ups and downs. Finding om speaks true to its title: it certainly is a story about exploring and finding one’s true self! Inspiring, fun and intriguing, I definitely recommend a read. This book has inspired me to travel and realized how much time we spend on worrying about work, money, body image and all those junky things that fills the female brain. Great read! Such an enlightening story and journey. The author is lucky to have experienced these lessons at such a young age. The book was something I needed to read at this point in my life. Loved this book! It reminded me of my college days and all the obstacles that you must overcome while trying to "find" yourself at that age. I enjoyed her journey and related to many of her experiences. It was interesting to read a westerners perception about my homeland. hi.. i thought this was a wonderful book. the descriptions were true as though you can trace moments in your mind.. like a national discovery channel but absolutely true, it is fun getting to know an author by seeing something you want to see through her eyes yet being able to etch it in your own mind making it so clear and beautiful.. i would not be afraid to travel there.Elizabeth makes it a destination point to desire with the whole heart keeping the senses real.. if you are looking for tomancung the soul.. a journeyed path.. follow this one! some dreamy depth here..